At Koch Park Dental in Florissant, we urge people to come in twice a year for a dental checkup and cleaning. If you avoid checkups because you don’t think you have any tooth decay, perhaps getting an oral cancer screening is a more convincing reason. In the last few decades, lung and breast cancer have had a lot of public attention. There is relatively less awareness of oral cancer, even though it claims almost 10,000 lives every year in the United States. If you smoke or have acquired HPV, you have a higher risk for developing oral cancer. At Koch Park Dental, we work to increase awareness of oral cancer and the importance of early diagnosis. Here are five essential things to know about oral (mouth) and oropharyngeal (back of mouth and throat) cancers. 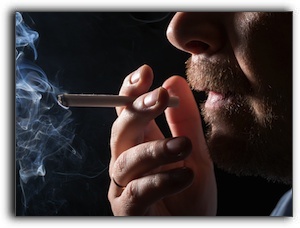 About 80% of men and women with oral cancer use some kind of tobacco (cigarettes, chewing tobacco, pipes). In many cases, it is almost impossible for the individual to detect oral and oropharyngeal cancers because they can produce indistinct symptoms or no symptoms at all. Any abnormality in the mouth or throat, even if small and painless, should be checked by a dentist or doctor. HPV (the most frequent sexually transmitted disease in the US) is the most common cause of oropharyngeal cancer. Of the various strains of HPV, HPV16 is the one most often linked to oropharyngeal cancer. At Koch Park Dental in Florissant, we provide oral cancer screenings, as well as general and cosmetic dentistry. Schedule an appointment with us today.